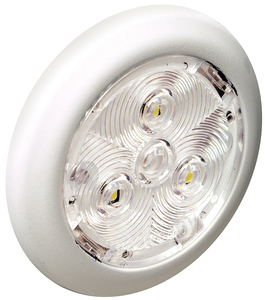 These LED lights exceed the output of comparable halogen lights while using 20% of the power. Lights stay cool to the touch and eliminate the burn hazard that allow for interior and exterior mounting - even underwater! Rated for 50,000+ hours of life. For 12-VDC systems. 1.8 watts. LED color: red.